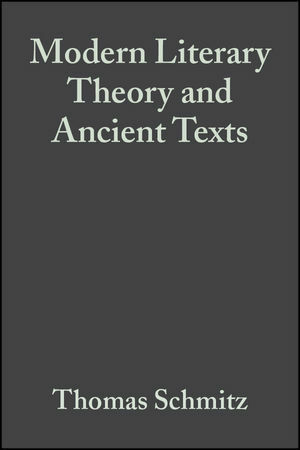 This book provides students and scholars of classical literature with a practical guide to modern literary theory and criticism. Using a clear and concise approach, it navigates readers through various theoretical approaches, including Russian Formalism, structuralism, deconstruction, gender studies, and New Historicism. Thomas A. Schmitz is Professor of Greek Language and Literature at the University of Bonn, and is one of the founding members of the Centre for the Classical Tradition. He has previously held positions at Paris, Harvard, Heidelberg, and Frankfurt. He is the author of over 40 books and articles including Bildung und Macht: Zur sozialen und politischen Funktion der zweiten Sophistik in der griechischen Welt der Kaiserzeit (1997) and Moderne Literaturtheorie und antike Texte: Eine Einfuhrung (2002).